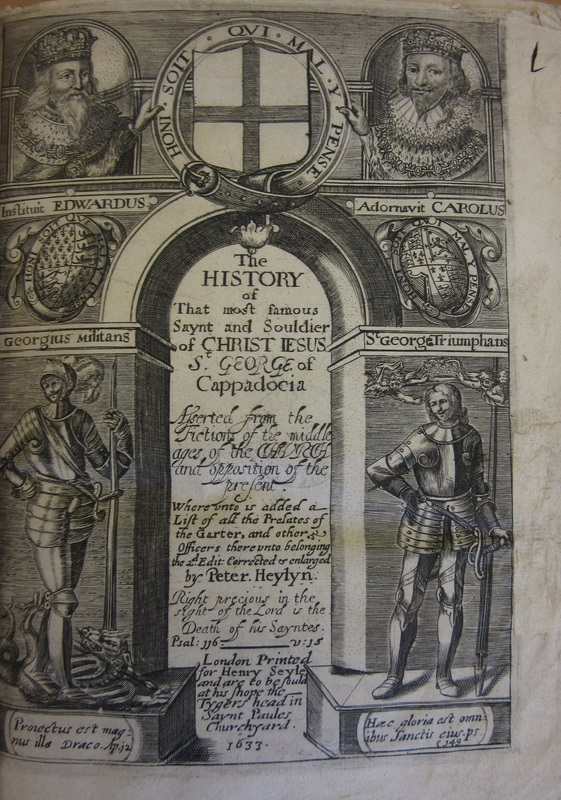 It’s Saint George’s Day on the 23rd, which gives us a chance to show some items related to England’s Patron Saint and his most famous action, killing the dragon. While there are numerous sites claiming to be the location of the slaying the one closest to the Bodleian is Dragon Hill, just below the Uffington White Horse. 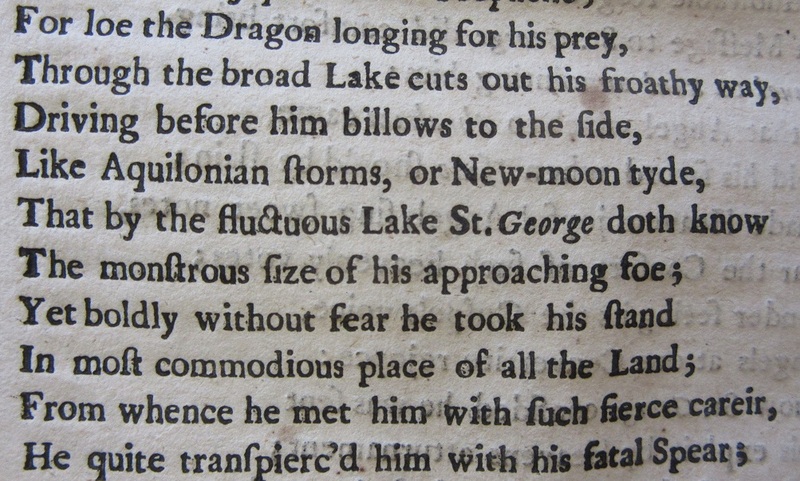 This image comes from sheet XIII.14 of the 1st Ed. 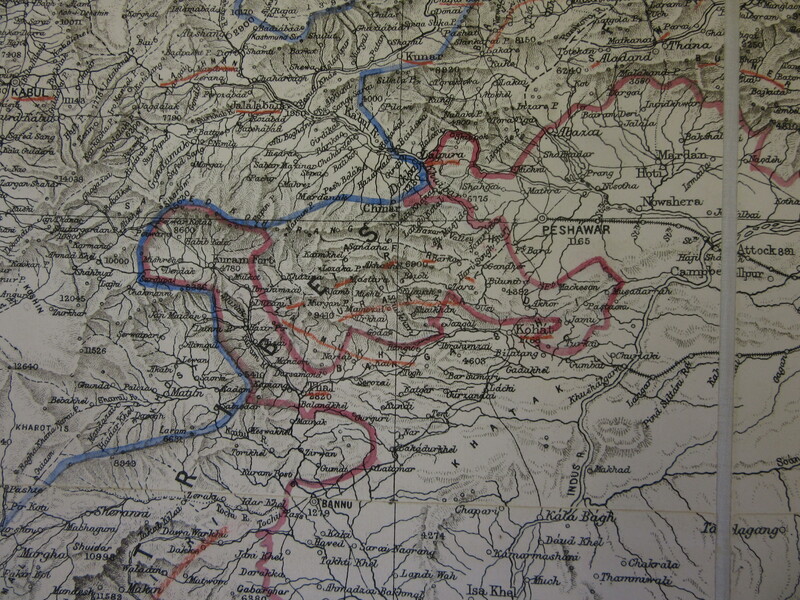 County Series for Berkshire (1879) by the Ordnance Survey. 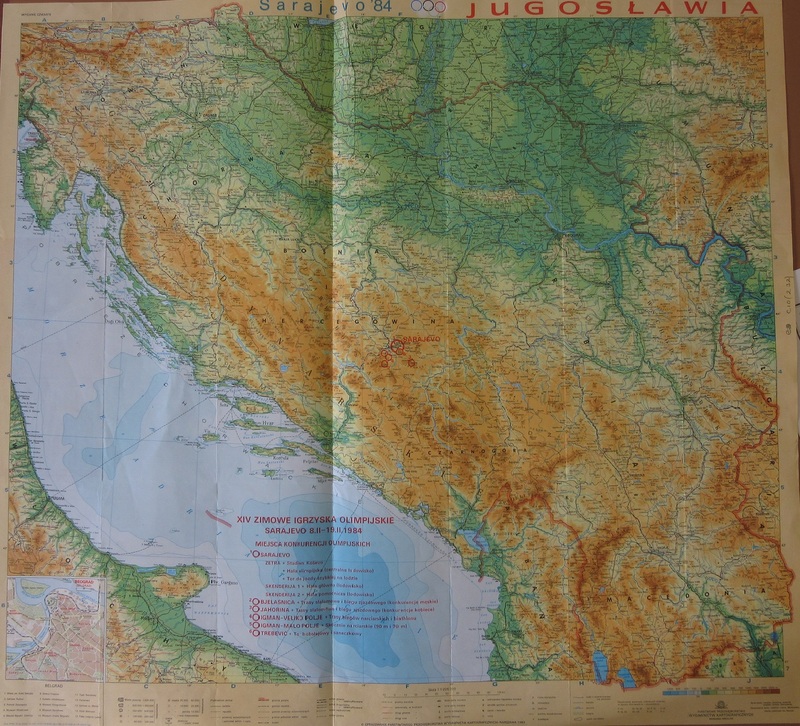 The area is rich with archaeological remains. An Iron Age hill-fort and the White Horse are just above Dragon Hill while further along the ancient track the Ridgeway is the Neolithic Long Barrow Waylands Smithy. Dragon Hill is a natural chalk hill which at some point has been levelled, possibly in the Iron Age. Legend has it that the patch of chalk on top where no grass will grow is the place where the dragons blood was split. 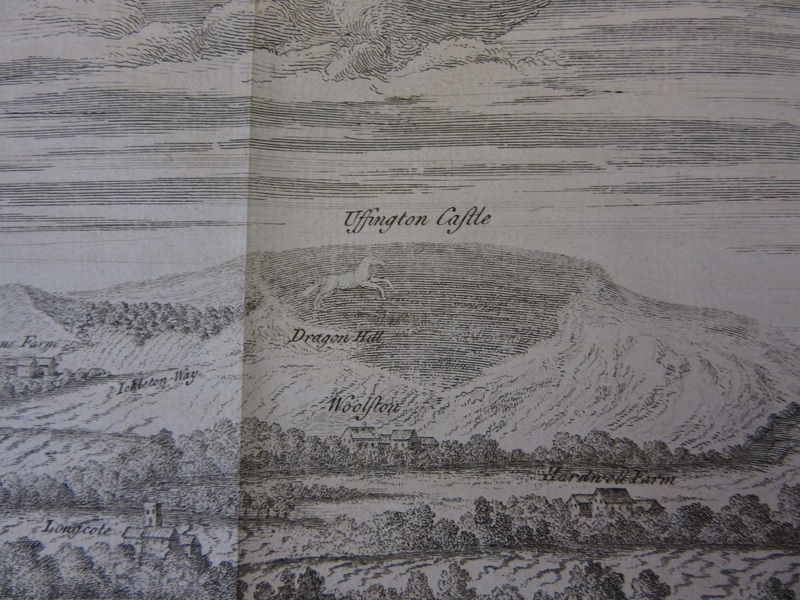 This image of White Horse Hill from the north comes from A letter to Dr. Mead concerning some antiquities in Berkshire…By Francis Wise (1738), (Gough Berks 3 (20)), a pamphlet which incorrectly states the Horse was cut to celebrate a nearby victory over the Vikings by the Saxons in 871. 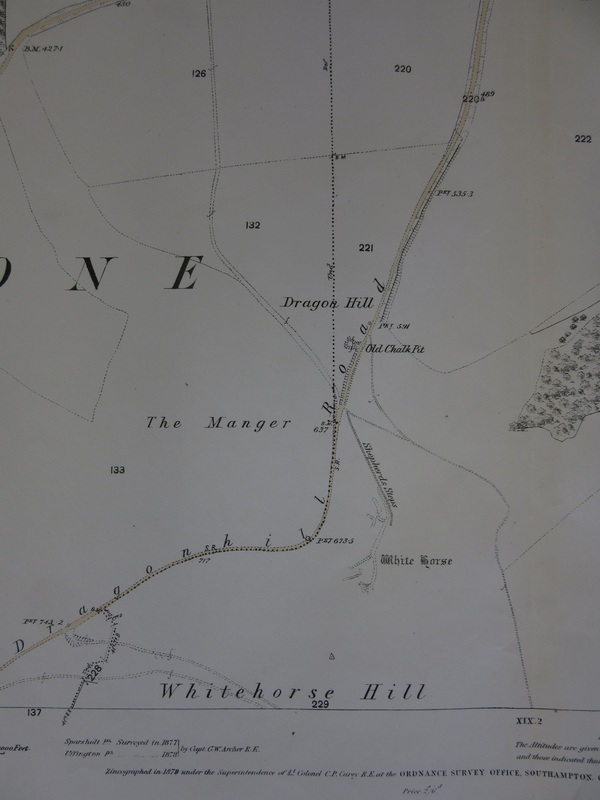 Wise writes of the Dragon Hill ‘Between the Ickleton Way and White-Horse Hill, under the horse, stands a large barrow, which the common people living hereabouts call “Dragon Hill”; and they have a tradition “that here St George killed the dragon”. The horse too is brought into the legend, as belonging to the Saint, who is usually pictured on horseback. 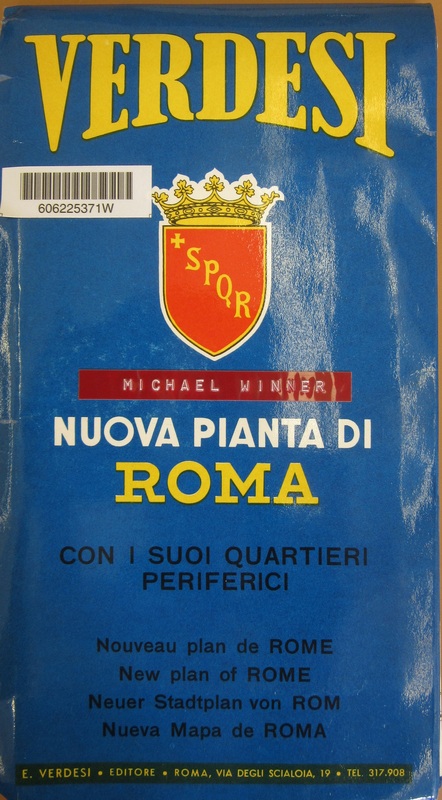 They shew besides a bare place on top of it, which is a plain of about fifty or sixty yards over where the turf, I don’t know by what means, can gain no footing; which they imagine proceeds “from venomous bloud that issued from the dragon’s wound”. 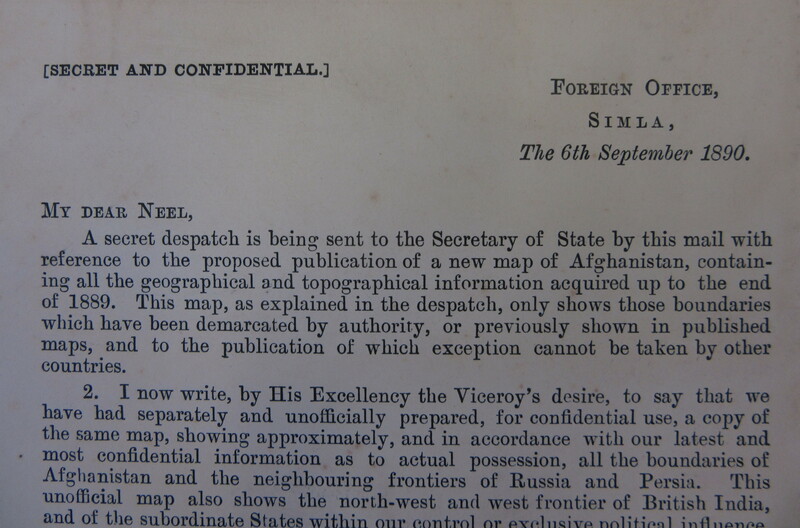 The image of the horse in the Wise pamphlet looks nothing like the abstract figure overlooking the Vale of the White Horse. 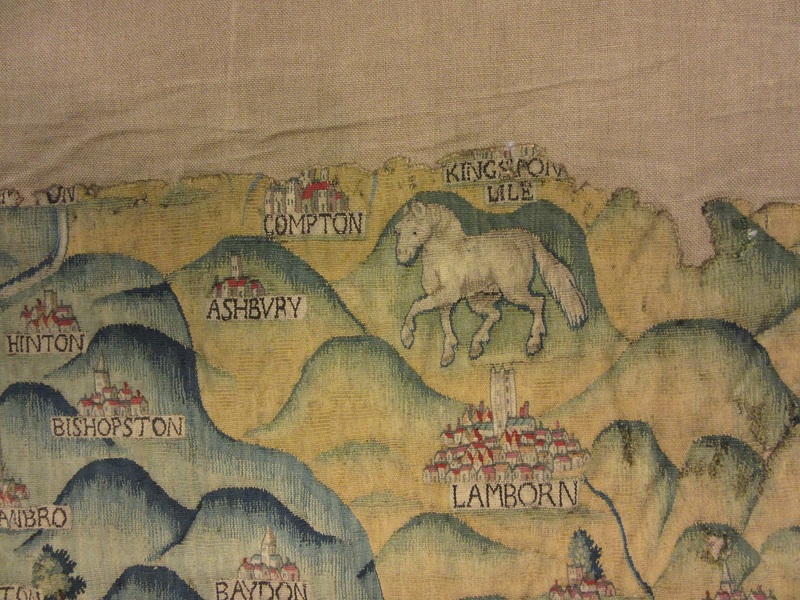 A similar view of the horse comes from the Oxfordshire Sheldon Tapestry. 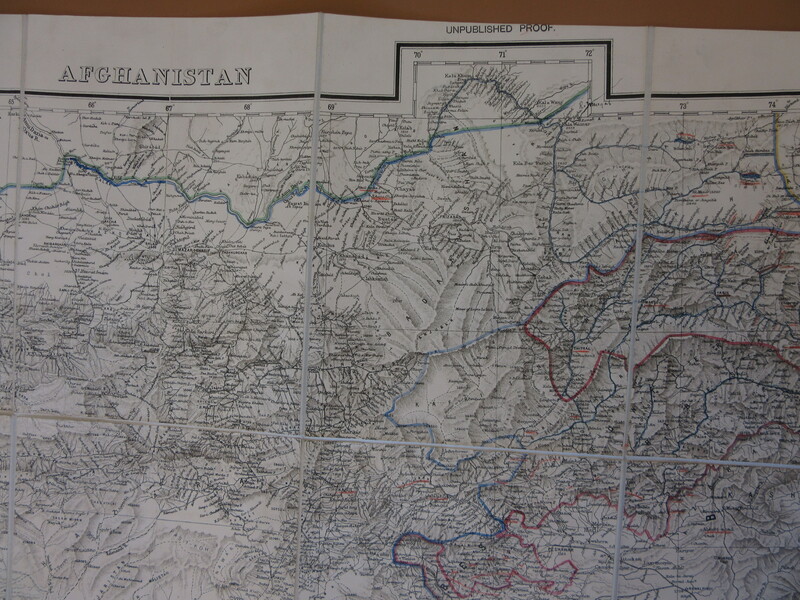 Dating from the 1590’s the tapestry will be in display in Blackwell Hall in the Summer of 2019. 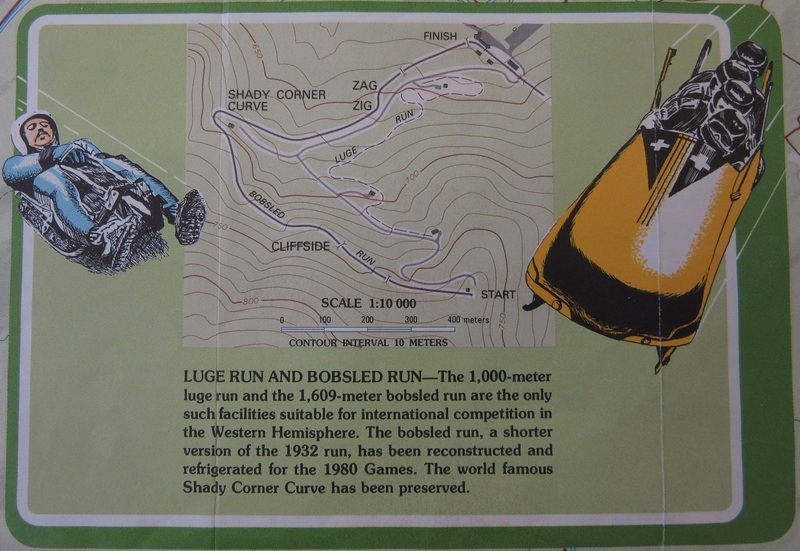 The horse should be on the other side of the hill, but some considerable artistic licence has been introduced to show the both the horse and the geographical layout of the land. 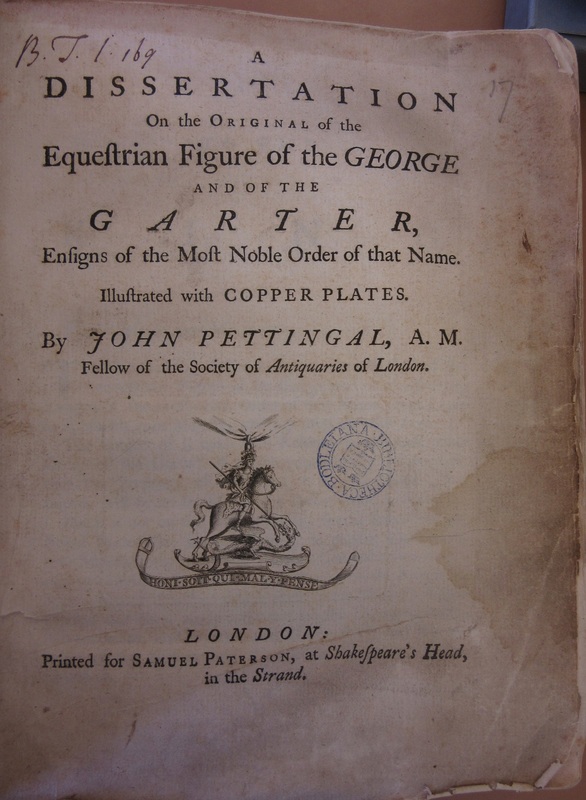 Another pamphlet from Gough Berks 3, explaining the origins of the Saint George figure. 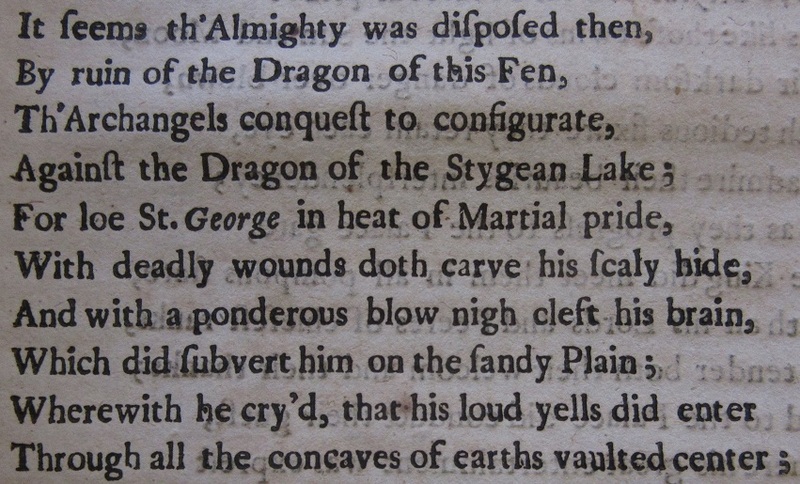 And to finish, extracts from The history of the life and martyrdom of St. George, the titular patron of England: with his conversion of Arabia by killing the dreadful Dragon, and delivering the Kings Daughter, a poem published in London in 1664, Wood 536 (4), with the title page from a History of Saint George…from the same volume. 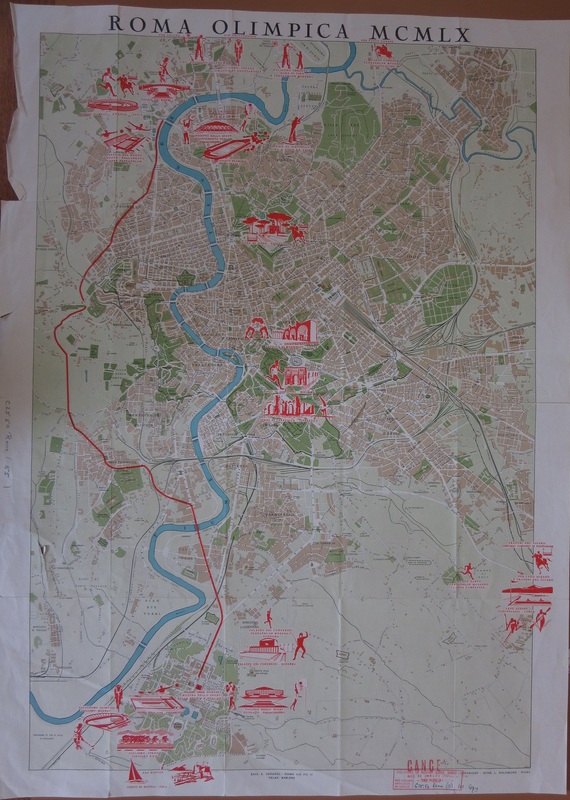 This entry was posted in Uncategorized on 20 April 2018 by stuart. 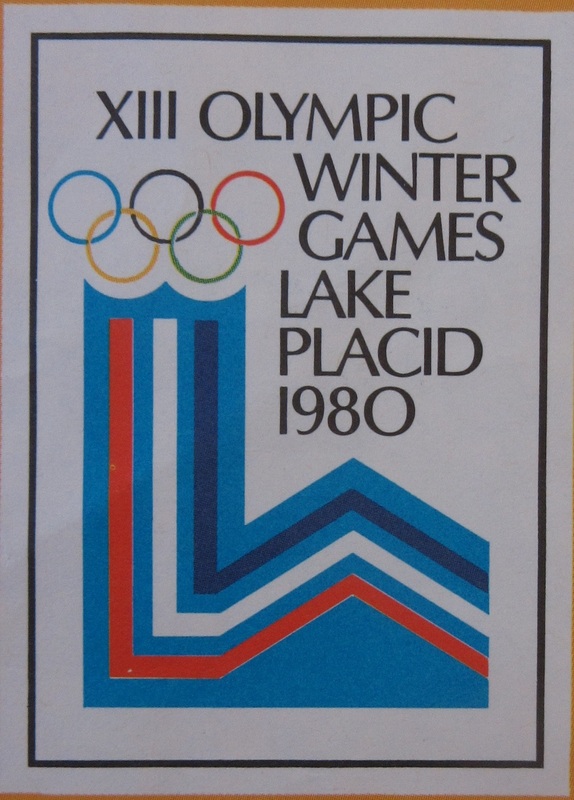 With the Commonwealth Games taking place on the Gold Coast and the recent donation of a map of the XIII Winter Olympics in Lake Placid in 1980 it seems a good opportunity to show some maps of various Olympic and Commonwealth Games sites from the collection. 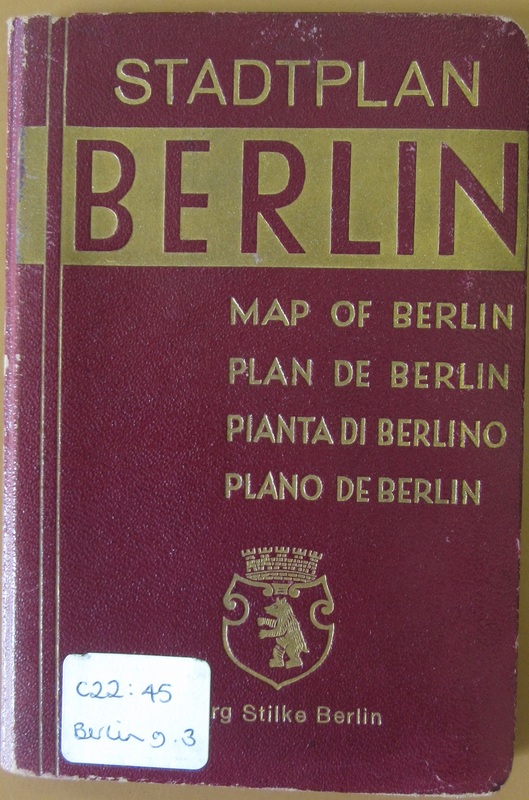 The majority of maps held in the collection are designed for the visitor, and show locations with text and information, promotional items which in the earliest examples were often part of a general map of a city – such as the 1936 map of Berlin, below – though of the 11 maps held on the Olympics in London in 2012 4 deal with the planning and design of the sites. 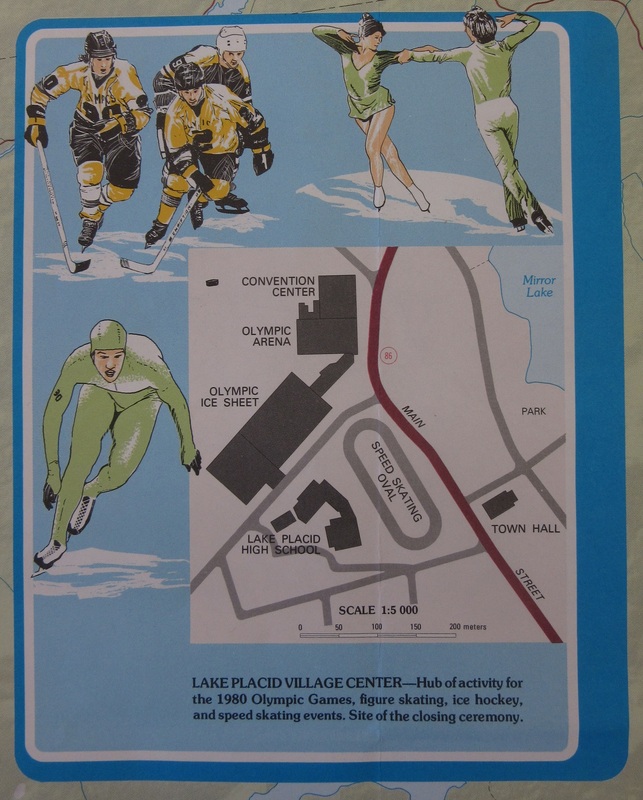 The Lake Placid games were held in the Adirondack National Park, a mountainous range in North-eastern New York State, a popular winter sports destination which had already held a Winter Olympics in 1932. 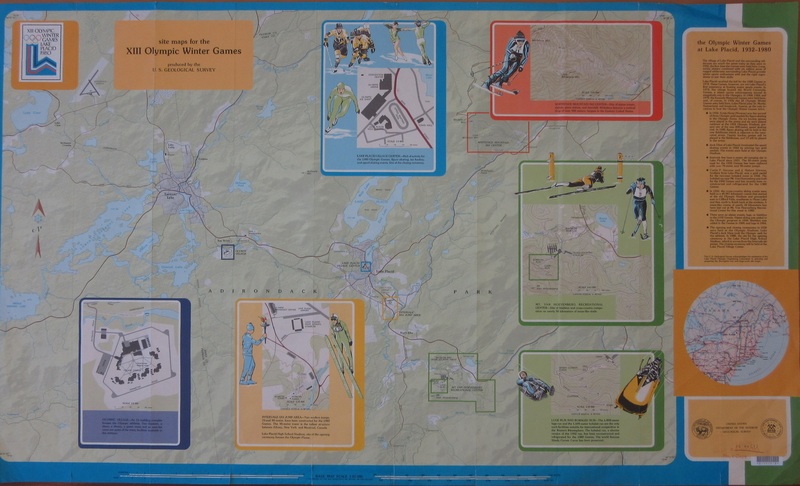 The map is produced by the U.S. Geological Survey, the national mapping agency for the United States and includes insets showing the lay-outs of the separate sporting areas around the village, including the Luge and Bobsleigh, the Down-Hill course and Village and Olympic centres. 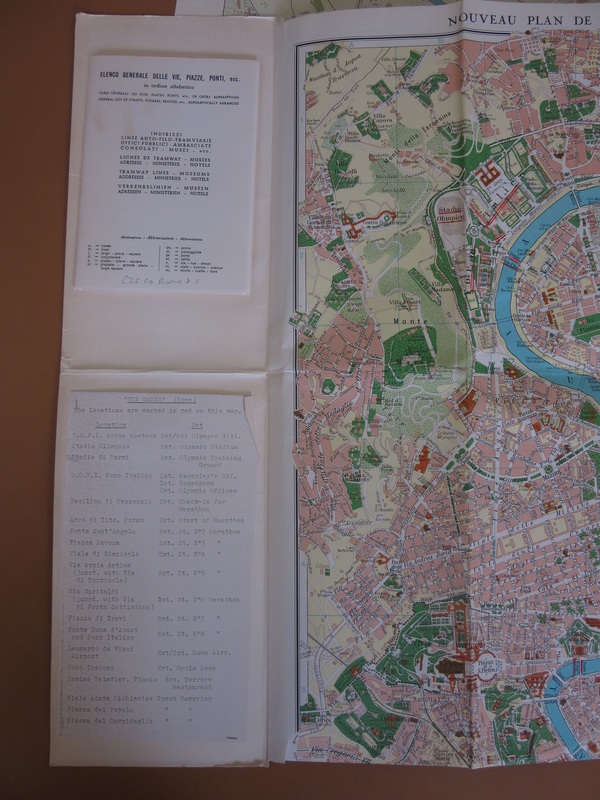 Maps are a valuable accomplement to exhibitions and events and the Library holds, as well as the Olympic maps shown here, maps of World and Expo Exhibitions. 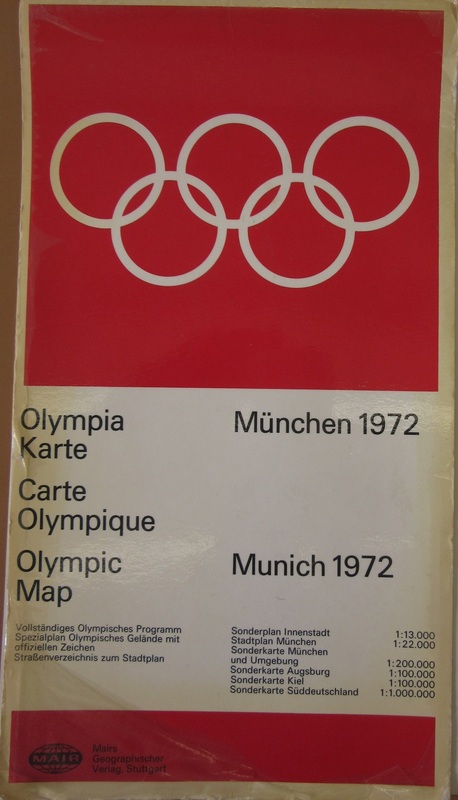 The following maps are of other Olympic Games held through-out the World. 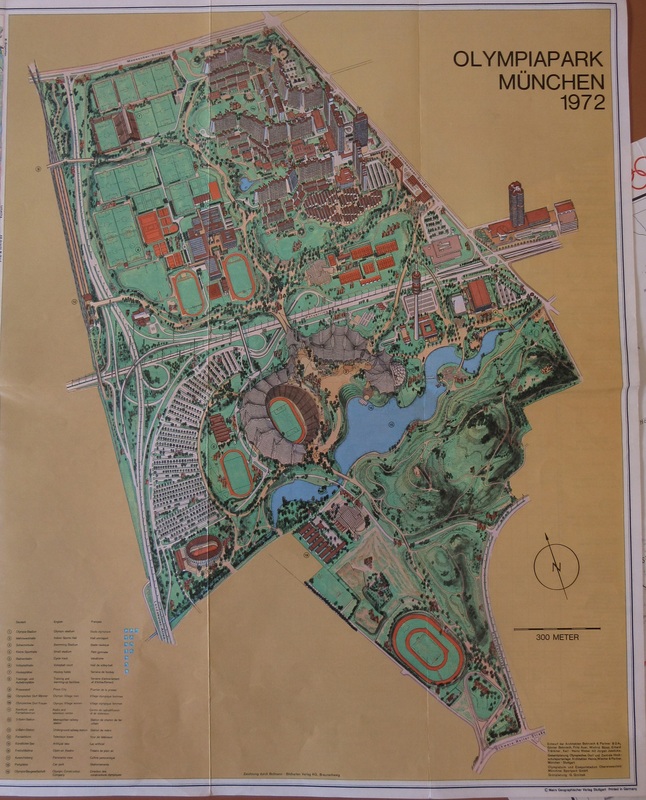 This map of the Berlin Olympics in 1936 (Stadtplan Berlin, 1936, C22:45 Berlin g.3) is an inset on a small atlas of Berlin, designed to fit into the inside pocket of a jacket. 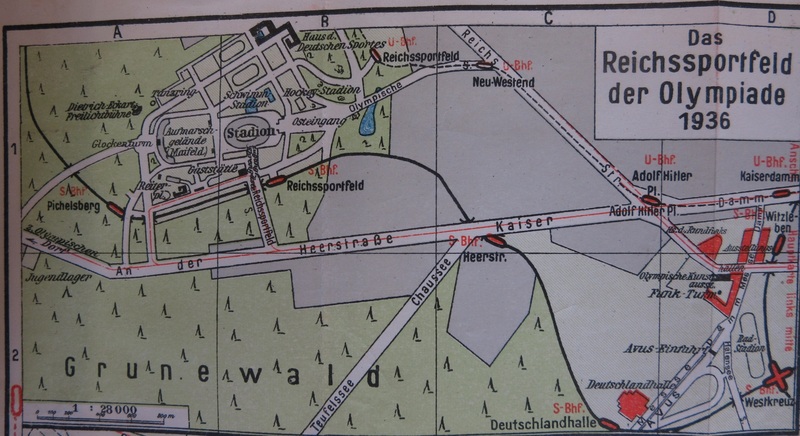 The atlas has tourist information in English, German, Italian and French and despite only being in power for three years the changes brought about by the ruling Nazi Partry can already be seen in some of the street names. 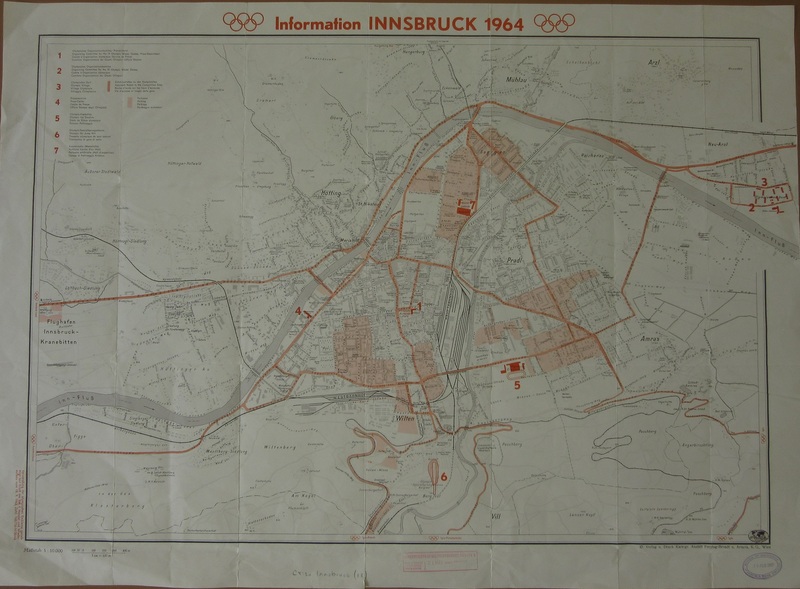 Following on from Berlin are maps of Innsbruck for the 1964 Winter Olympics (C4:20 Innsbruck 18), a lovely depiction of the Olympic Park for the ill-fated Munich Olympics in 1972 (C22:45 Munich (45), a map from Yugoslavia for the 1984 Olympics in Sarajevo (C10 (232) ) and to finish two maps of the 1960 Rome Olympics. This entry was posted in Uncategorized on 6 April 2018 by stuart.